Circular(?) outline. Circular discus has central(?) 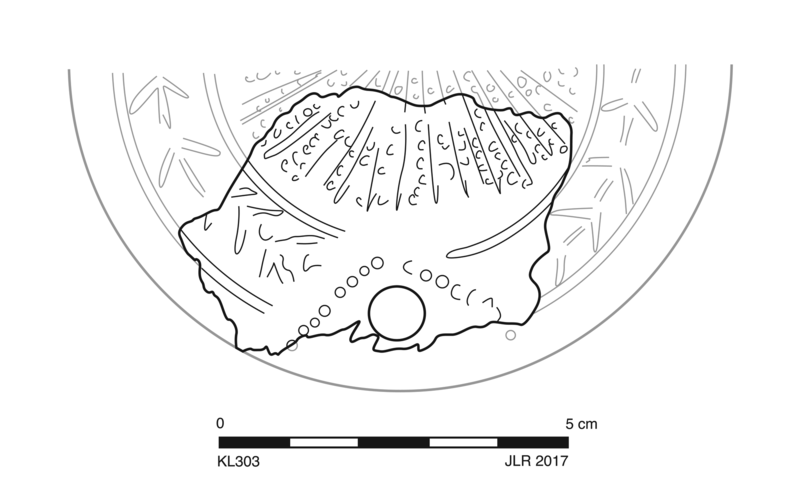 filling hole, irregular relief of petals or rays with raised rims and palm branch(?) motif inside, and prominent framing groove. Flat, wide shoulder has incuse, simple herringbone. Small, shallow slit at front of discus with axial groove to a shallow circle surrounded by arch of small circles: preparing for nozzle and wickhole? Details are irregular. Wall is thick and uneven on interior surface. Fabric: 5YR 5/6, yellowish red. Hard, heavy, granular fabric has common, small to medium-sized, subangular, white (calcitic) and quartize inclusions and rare, medium-sized to large, angular, black inclusions; uncommon voids opening at surface. 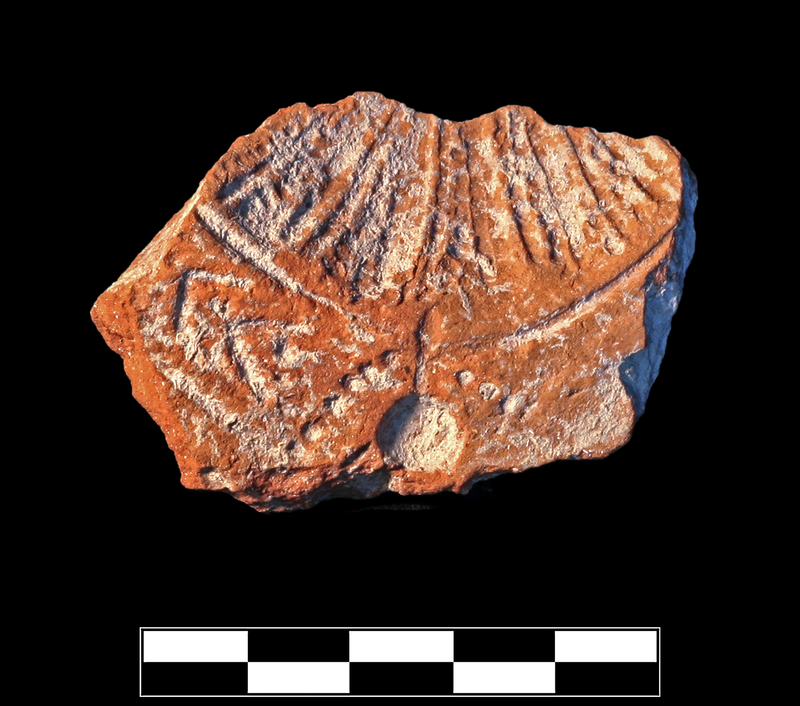 Late Roman Corinthian fabric? Unslipped. One fragment preserves less than one quarter of discus and small part of front rim. Slight, extensive abrasion and chipping around edges; slight, scattered patches of encrustation especially in grooves.